$189.99 Apple iPad Air 2 128 GB, Wi-Fi, 9.7in - grey / black Please read listing. $99.0 (1 bid) Apple iPad Air 1st Gen. 128GB, Wi-Fi, 9.7in - Space Gray. PERFECT CONDITION. $101.69 (4 bids) Apple iPad Air 1st Gen. 16GB, Wi-Fi, 9.7in - Space Gray Perfect Condition! 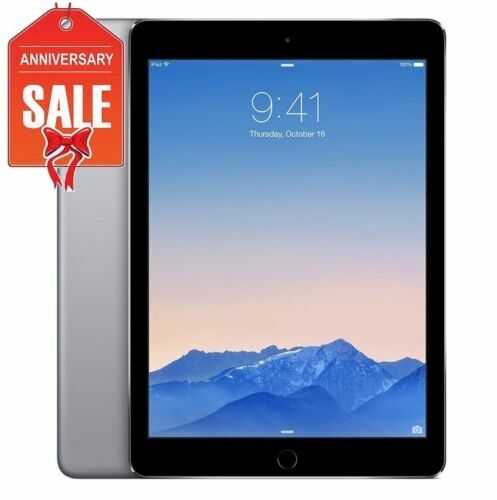 $90.0 Apple iPad Air MD787LL/A 1st Gen. 64GB, Wi-Fi, 9.7in - Space Gray. $64.67 (2 bids) Apple iPad Air 1st Gen. 16GB, Wi-Fi, 9.7in - Space Gray - Excellent condition!